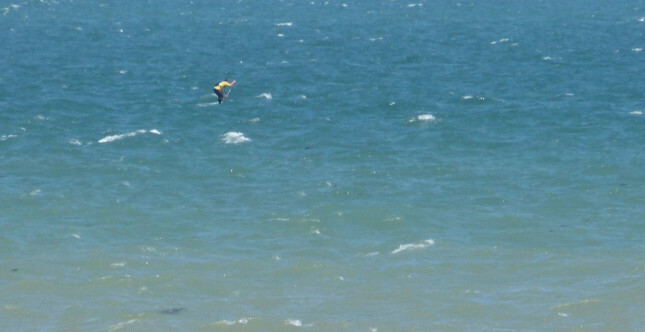 It’s starting to sound like there were pretty epic downwind conditions all along France’s west coast on the weekend. 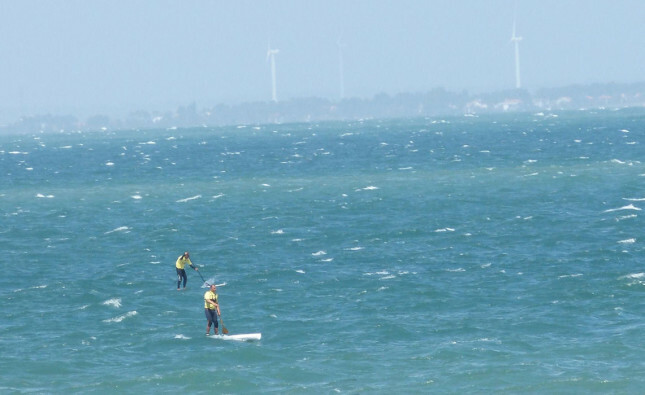 While half of France’s regular racing crew were battling it out in the Guyader race, the other half were finding plenty of wind 300km to the south. 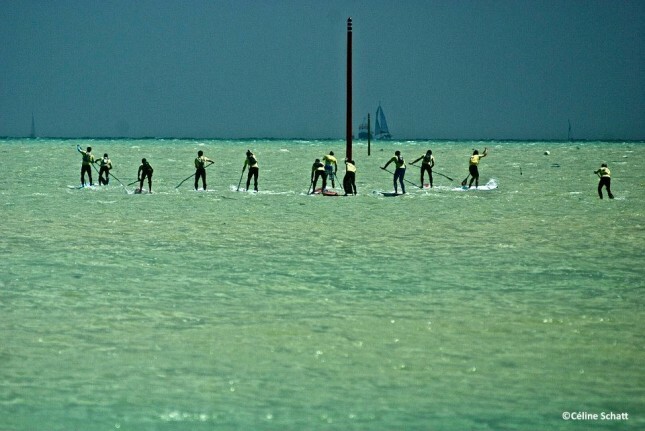 The “Ré SUP Contest” Île De Ré offered €2,500 across two very different races. First up was a brutal beach race, where howling onshore winds made for a pretty tough loop around the course. That wind continued on Sunday, only this time it provided for an awesome downwind run. 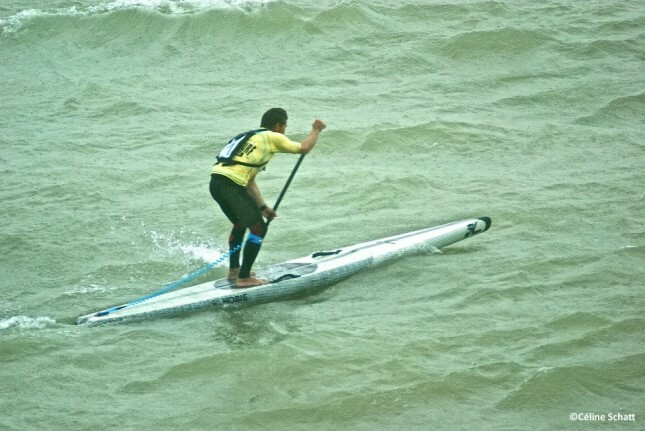 There was a pretty good race this weekend in France: The Ré SUP Contest, with two different races, one big prize purse and some crazy weather conditions! On Saturday it was the beach race, which turned into a really hard one ! 25 knots of onshore wind, waves coming from every direction and a crazy shore break to go through!!! The young Dimitri Georges had a pretty good start, avoiding almost all the waves on the left of the start line while the rest of us got stuck in the shore break. Greg Closier managed to get out quickly as well and started hunting the young Dimitri to finally overtake him at the second lap. We saw a lot of dramatic falls and surfing during the race, plus a few broken boards as well.. It was a lot of fun! 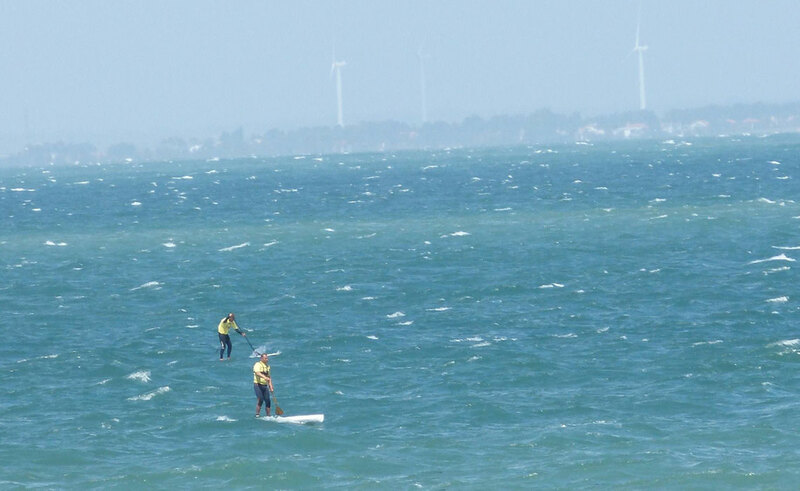 Sunday was the long distance and it was an awesome one – 20 knots blowing in the perfect direction for one hell of a downwind run! Greg took the lead as usual with an amazing start, followed by myself, Thomas Goyard (a windsurf champion) and Dimitri. 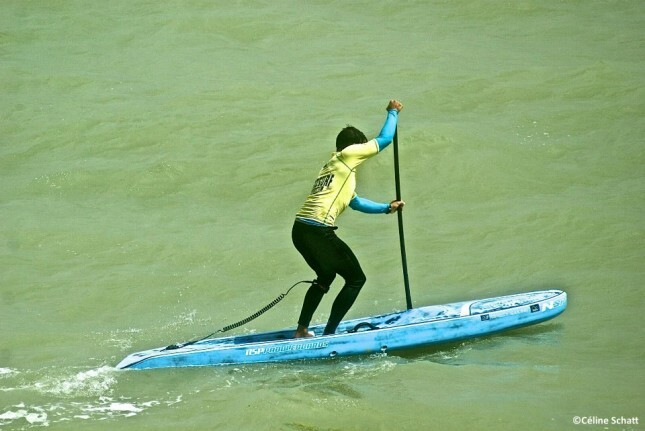 After 500 meters of small bumps, the swells started to get bigger and bigger. 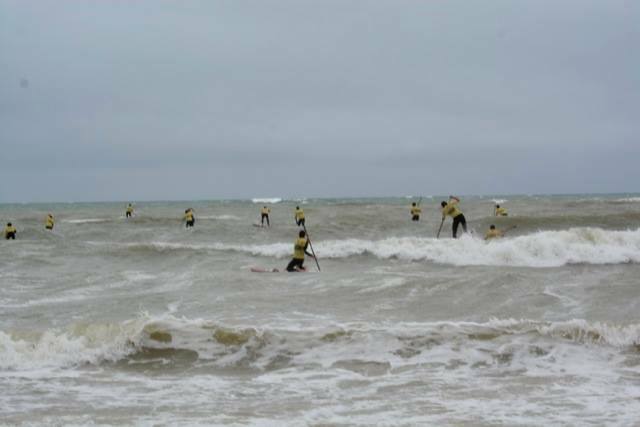 We were able to surf these crazy bumps all the way til the end of the 16km race. Greg, Thomas and Dimitri were far ahead after I had a crazy issue with my hydration equipment that I finally threw away to free myself! 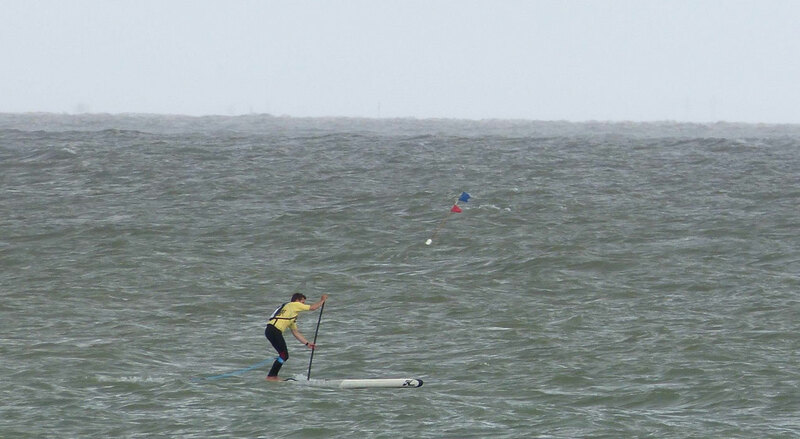 But I managed to come back into second place after catching one thousand amazing bumps on my New NSP 12’6 (which is the best board I’ve ever used on a downwinder!). It was an amazing race, all the racers enjoyed riding those bumps and flying above the sea, hopefully we’ll have more of these races in the future! !